With all this other crap going on in my life, I realized I haven’t posted much about one of the FEW things that makes me incredibly happy—my kitty Blanche Devereaux. 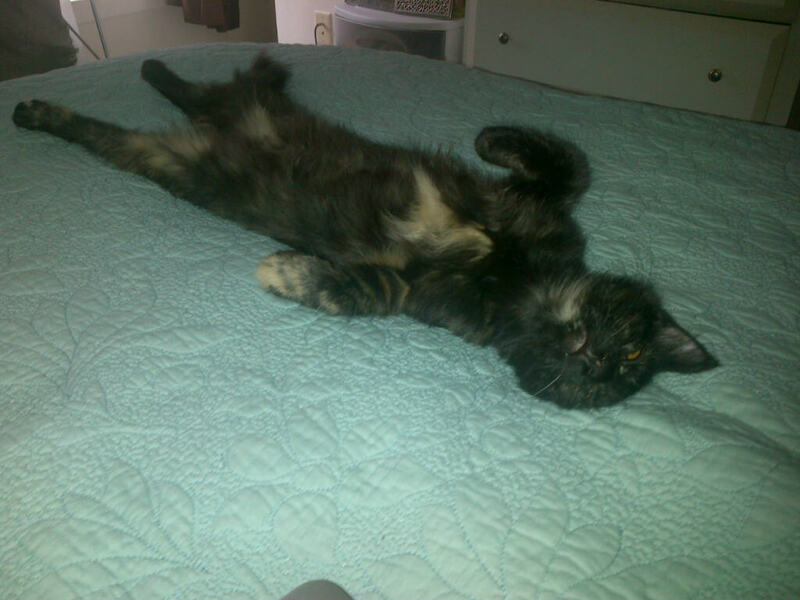 While she is by far the craziest kitty I’ve ever had, I can easily say I thoroughly enjoy her company. She still has her claws, and she finds great joy in tearing up my curtains and my dining chairs. 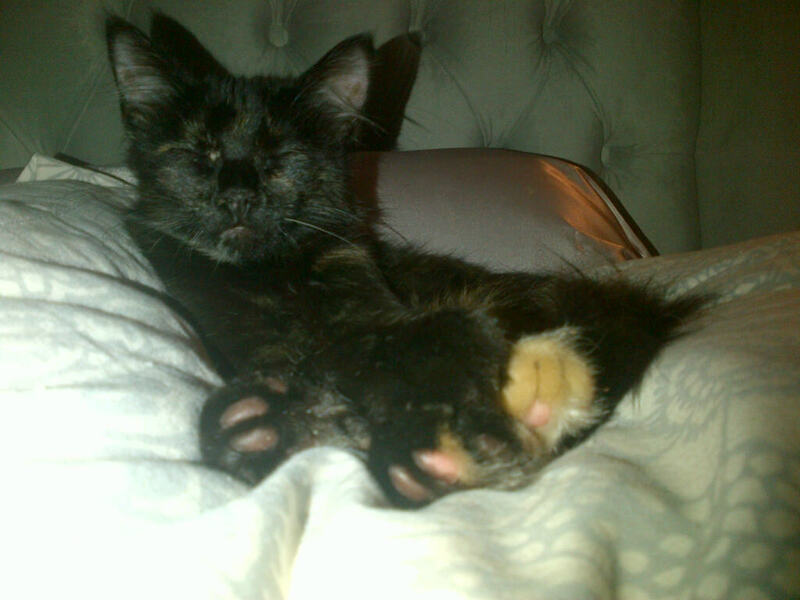 She has also fallen in love with a trio of felt mice that have jingle bells on the ends of their tails. 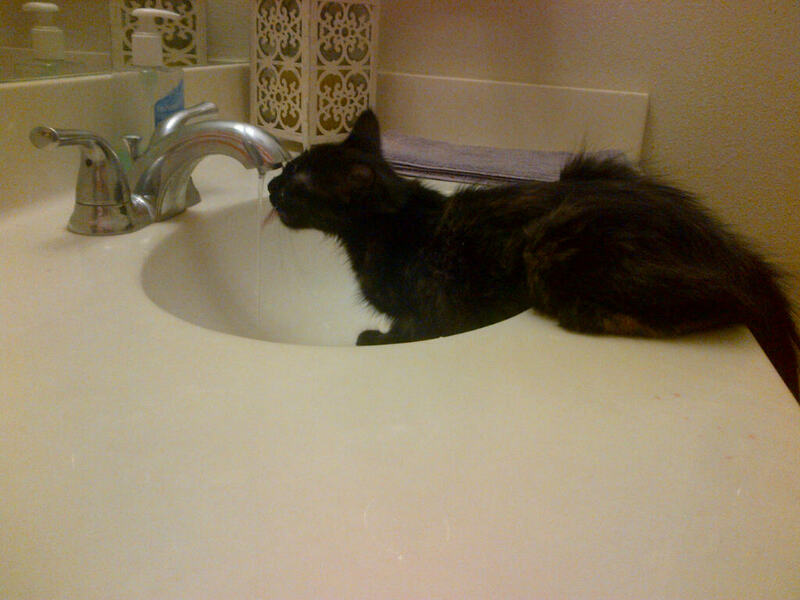 But most of all, she loves drinking water straight from the faucet. 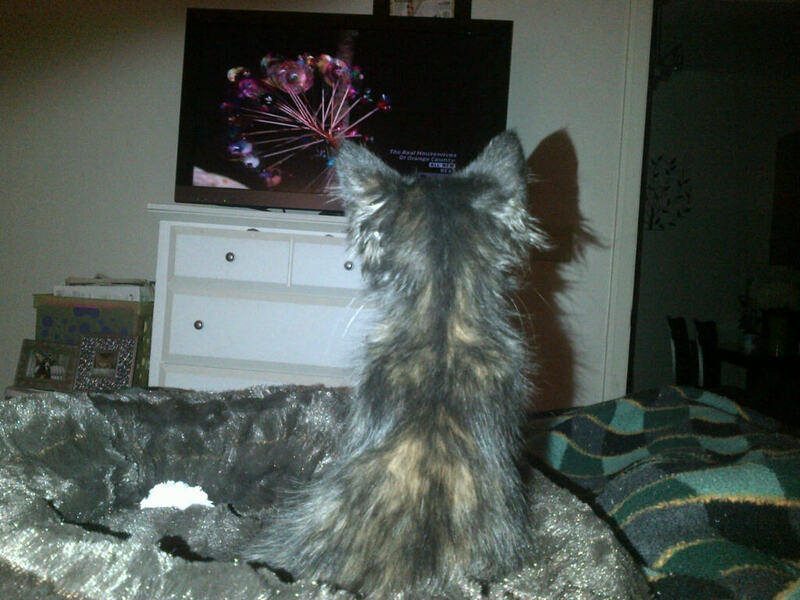 Blanche enjoying the TV…I took this on her first night at my house; I love the spots on her back. 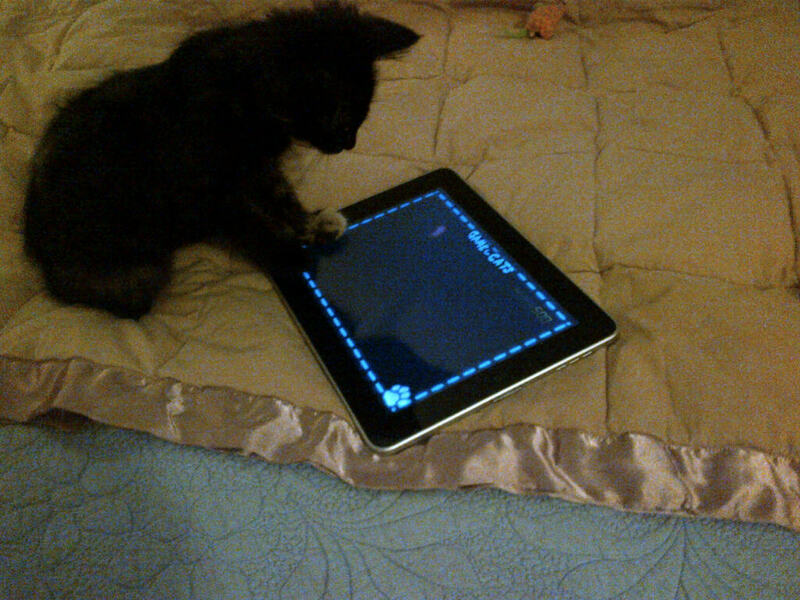 Blanche enjoying “Game for Cats” on my iPad. Hope you enjoyed a snippet of my sweet Blanche!